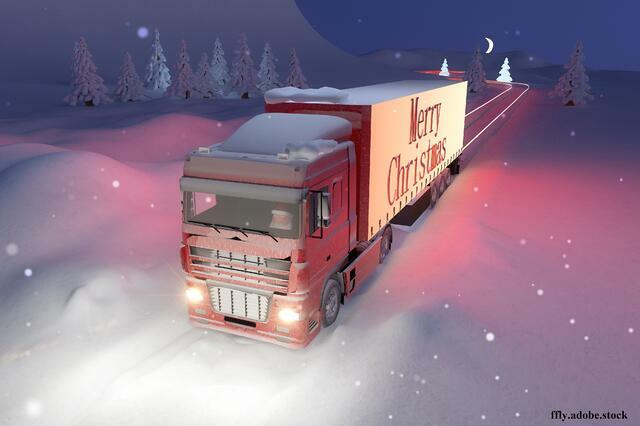 It is essential for delivery companies to prepare ahead for the Christmas period. This peak time creates huge demand alongside short deadlines. A process to ensure you can maximise your operations efficiency is imperative for this Christmas season, especially now as the trend to buy online and receive goods next day / in a short period of time is increasing. Instant buying and receiving has become a popular habit within the last 3 years, this is due to businesses having the ability to deliver next day which therefore increased customer expectations and changed the market's needs and buying habits as a whole in the UK. Especially around Christmas, people purchase items last minute while on the go, in order to avoid the busy shops. This has created a huge spike in delivery through online purchases in the last few years, creating a huge boom especially in the festive period. A boom can be a great thing, but it is only great for the prepared. Meeting the demand means efficient planning such as optimising journey routes, better asset tracking and information in real-time. To ensure you are keeping up with demand you must ensure your team are able to facilitate the increase of work. Transport management software ties up your inputs helping to calculate and advise within your operations providing your team the support, organisation and ability to be efficient. High demand means high volume of documentation. Ensuring your customers receive proof of delivery can create an increased work load in these peak times. Why not consider paperless proof of delivery? Going paperless ensures a reduction in duplication, signature capture, barcode scanning, real-time delivery/collection confirmation and more. Documentation can be automatically sent to your customer as soon as the item has been delivered. Electronic proof of delivery provides a fast and efficient service to your customer, reducing manual data entry which can be time consuming and inaccurate, especially at busy times. Christmas isn't the only time you should be considering fast accurate delivery processes for your transport. Peak times can appear unexpectedly, work with software that works and grows with your business to ensure booming periods are positive and manageable.